It is interesting how the word “rubber”, which historically has referred to natural rubber (also known as isoprene) has become a general term for elastomeric materials. Natural rubber is the original elastomer. However, over the years there have been many more synthetic polymers developed, each with its own unique property. 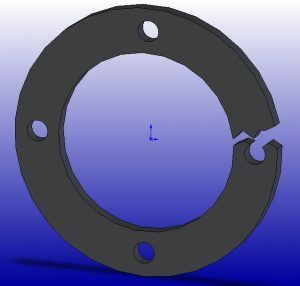 From an engineering standpoint, it is important to know the demands and environmental conditions to which a “rubber” component will be exposed. Many of us have seen a black, flaking, cracking gasket essentially at a failure state. For a critical water seal, that cracking could allow leaks causing damage to expensive electronics. For pads, excessive compression set (when the elastomer fails to rebound) may be the mode of failure, ultimately transferring mechanical shock or vibration to the device. Many of these common failures can be avoided with proper material selection. Temperature, UV, ozone, and chemicals all play a role in how well a “rubber” part will survive. 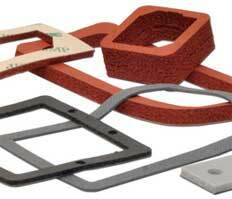 Stockwell Elastomerics helps customers with material selection and in many cases will provide samples for testing. For applications assistance or more information about gasket material, silicone elastomers, and solid sheet rubber, please call Stockwell Elastomerics at 215-335-3005 or complete a contact form for assistance.